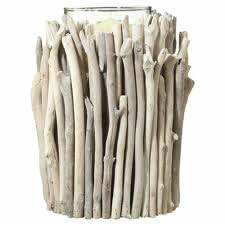 If you’re anything like me, you love the look of driftwood furniture. The aged and worn look just appeals to me although most of the pieces I see for sale in the major stores are not actual driftwood but wood that’s made to look weathered, usually with painting techniques. So I began a quest to find out how I could get that same look at home. 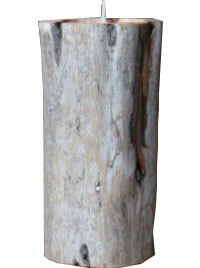 After all, I was experienced at refinishing furniture, painting, staining and distressing – why not try my hand at this driftwood finish look. 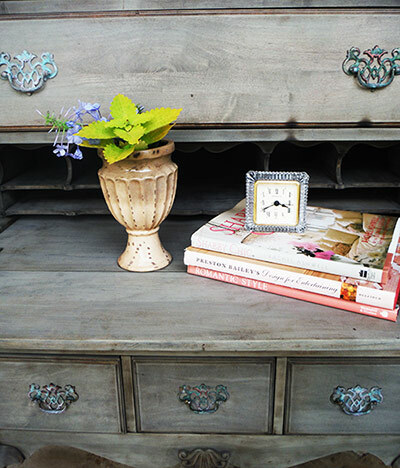 And there’s nothing more satisfying than finding a beautiful piece of furniture in a thrift store that someone else has discarded – no longer useful to them. I’m one of those that can see its possibilities and I’m quick to snap it up, take it home and give it a whole new life. I found myself a gem of a side table at one local thrift store. It was perfect. 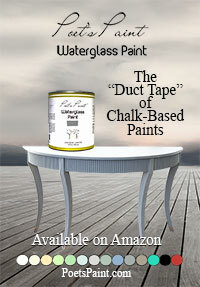 I stripped off the old stain and finish and had initially decided that I wanted a distressed white look. After about four months of this distressed white table, I decided I wanted it to look more like a driftwood finish. 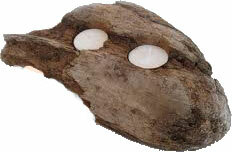 I was seeing driftwood tables, beds and lamps, etc. everywhere and I wanted it. 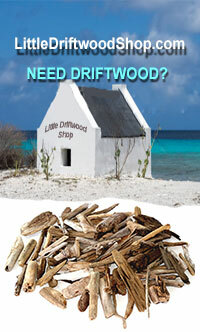 An indepth search on the Internet revealed some very interesting processes that others were using to achieve that driftwood finish. 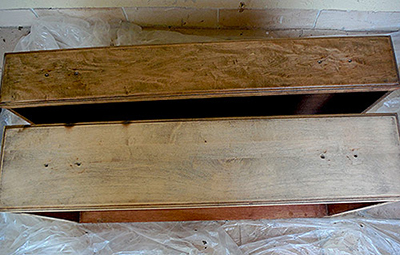 Some with paint (which I also did and it came out great and you can read that post – Creating a Driftwood Finish With Paint), others with concoctions of vinegar and steel wood and still others using baking soda, tea and coffee. Along the way, I discovered my own mixture, which I call Driftwood Weathering Wood Finish, and to my surprise, it worked beautifully on that little white table once I had stripped and sanded it again. 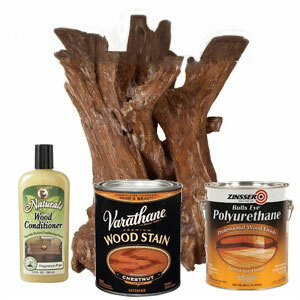 But I still wanted to test the other methods I came across so below you will see a video of the five different methods I used on 3 different types of wood – oak, pine and birch. I will show the initial application and the outcome 24 hours later. #1 – Tea – Steeped green tea in 1/2 water for several hours. #2 – Coffee – Steeped coffee grounds in 1/2 cup water for several hours. Over the past 2 months, I’ve been slowly working on my driftwood highboy refinishing project which meant stripping and refinishing an antique highboy piece and then refinishing it with the Driftwood Weathering Wood Finish. Well, I’m happy to say it’s finally done and I couldn’t be happier with the results. 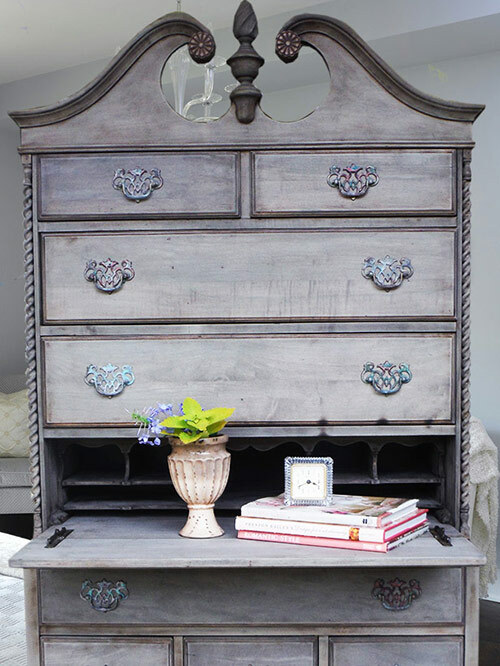 I purchased this highboy piece over 30 years ago at an antique store. 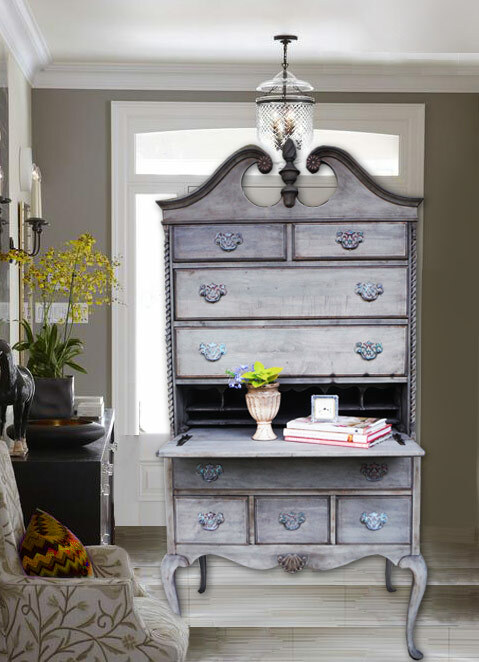 At the time I purchased the highboy, it was a hideous orange toned stained wood but it was a bargain at $375.00. I distinctly remember that once I had stripped the orange stain, I had made a mental note that the bare wood had a beautiful distressed look to it and even back then I was tempted to leave it that way. I also remember that I had done a major faux pas at the time I stripped it by using a steel wool pad to remove the finish and it had left little black specks everywhere. But this had actually contributed to the weathered look in a good way. 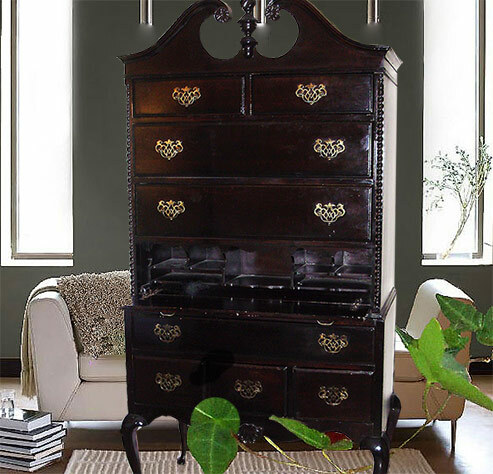 I ended up staining the highboy in a dark mahogany color to match the other furniture in my room at the time. I also remember that the stain did not take very well and I literally had to apply the stain and leave it on the piece without wiping off the excess. This was the only way I could get the stain dark enough over the maple wood. Above is the piece before stripping and sanding. It has always been a beautiful piece. Below, I have started to strip and sand and needed to remove some of the more intricate pieces in order to get the finished removed. I did this work outside in the Florida summer heat – not exactly the best conditions to be doing this type of work and that is why it took me 6 weeks to fully complete this project. Some days it was just too hot! Stripping and sanding the difficult areas. Stripped and sanded; application of Driftwood Weathered Wood Finish. 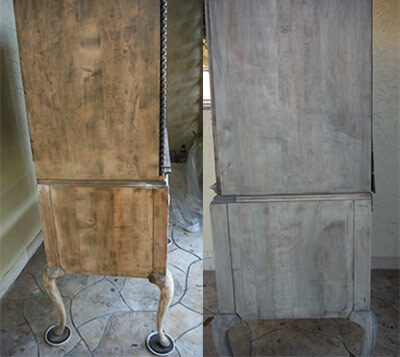 The original hardware was brass and my original intention was to create a “rusted” finish. I thought driftwood finish would be a nice backdrop to rusted hardware. 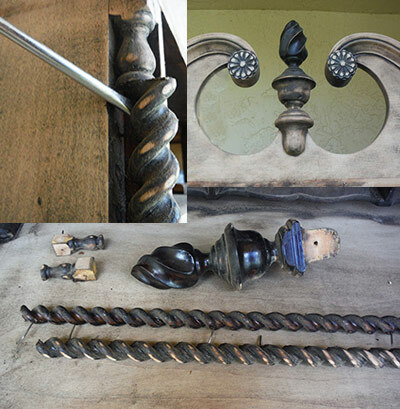 I attempted many solutions to create a rusted finish including soaking the hardware overnight in baths of vinegar and baking soda; vinegar and salt; and ammonia. While I didn’t get a rust finish, I did get a somewhat verdigris finish. After soaking the hardware pieces overnight and letting them air dry, I then applied a product by Modern Options called Verdigris with a paintbrush and dried it using my heat gun. 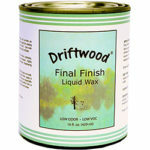 This seemed to increase the verdigris finish somewhat although I did not use the product according to their directions. I did not apply their base product. I have since found that the hardware’s verdigris finish has continued to turn quite a bit.